Jason and Mary on the rooftop of Hotel Raphael in Paris. When Kev and I try to describe this wedding to our friends, we don't seem to have the words to convey how truly magnificent it was. 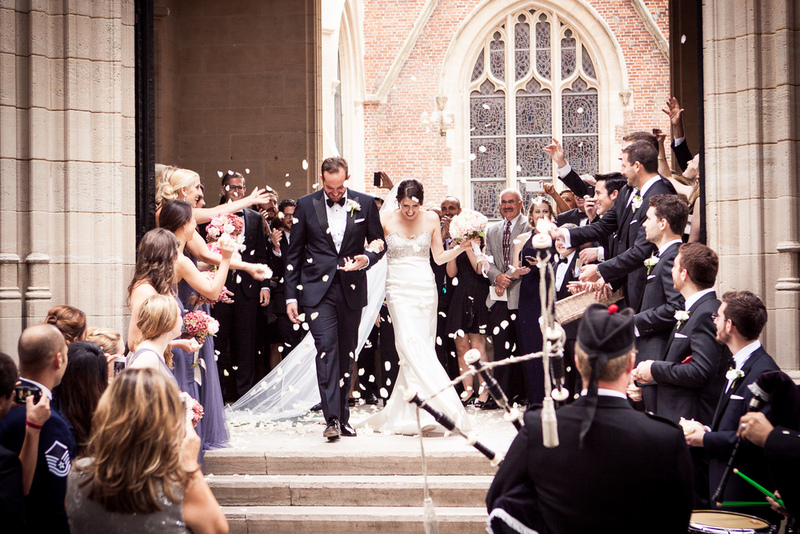 We are honored to have been chosen to document this incredible celebration. 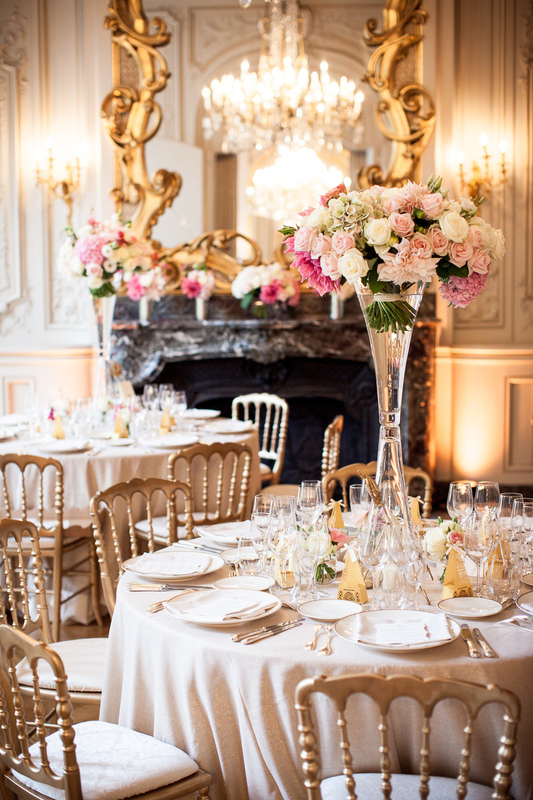 Because Anne and Nancy of Fête in France coordinated the wedding, every detail was perfectly executed, from flowers and food to locations and surprises for Mary and Jason (as arranged by Jason's extremely excited mother). 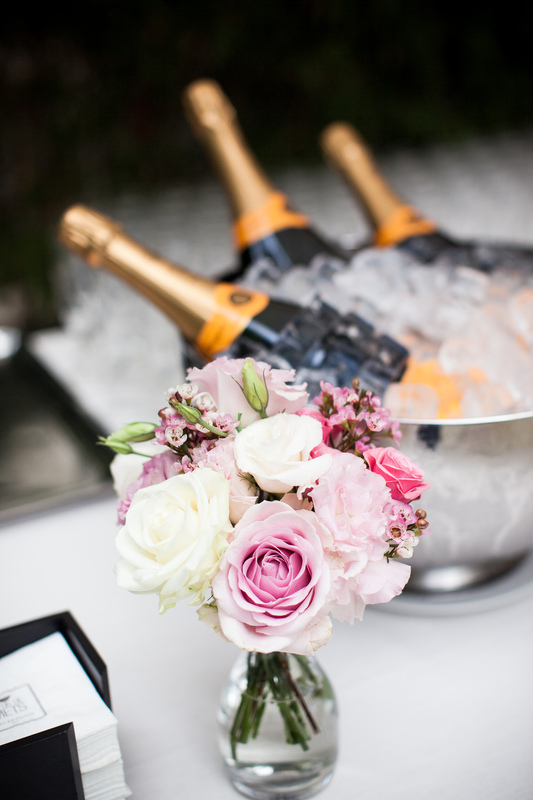 We've worked with Anne and Nancy a few times before and love their artistry, not to mention their humor and warmth. 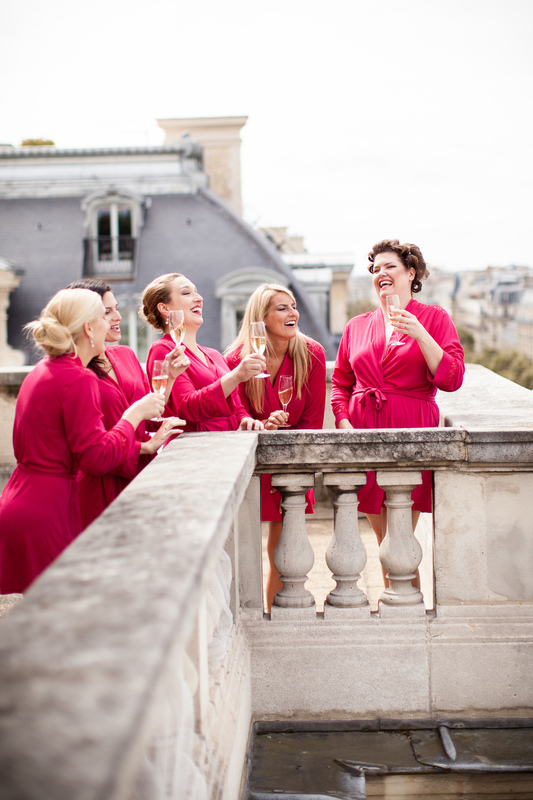 Mary and her wedding party stayed at the Hotel Raphael, a luxury hotel with a legendary Parisian history. 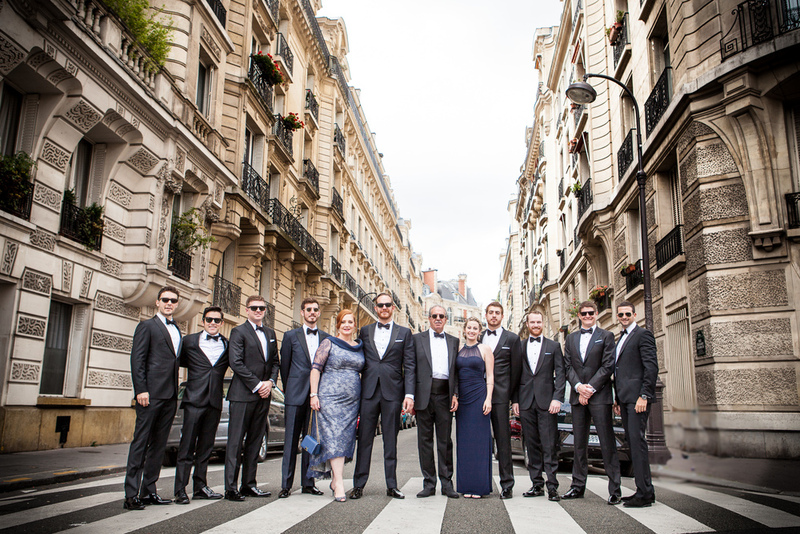 There they had their hair and makeup done, just down the street from the Arc de Triomphe. Kevin documented Jason and the boys getting ready at Jason's parent's home in a gorgeous downtown location. 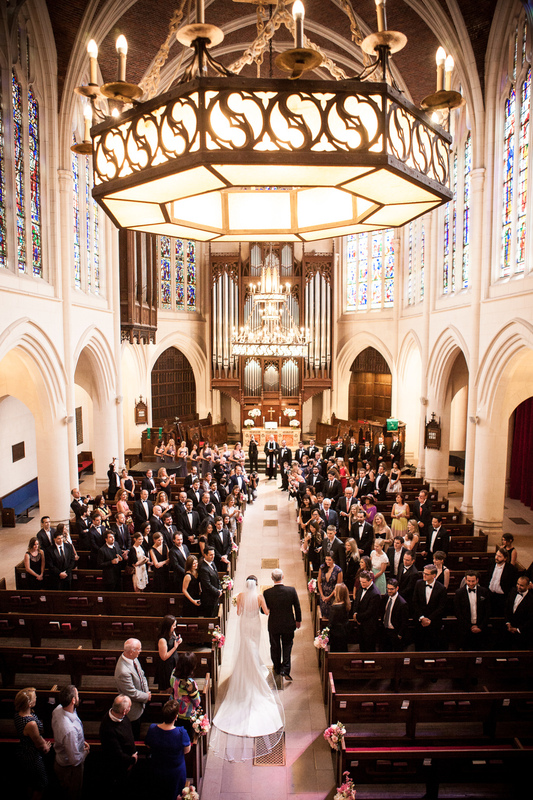 The ceremony took place at the splendid American Church in Paris, where Mary and her father arrived in a stunning vintage car. Directly after the ceremony, bagpipers in full regalia traipsed out a side door to the church and lead the (extremely surprised) newlyweds back down the isle. Jason's mom surprised them once again with a fleet of brightly-colored Citroen 2CV miniature cars for the wedding party. 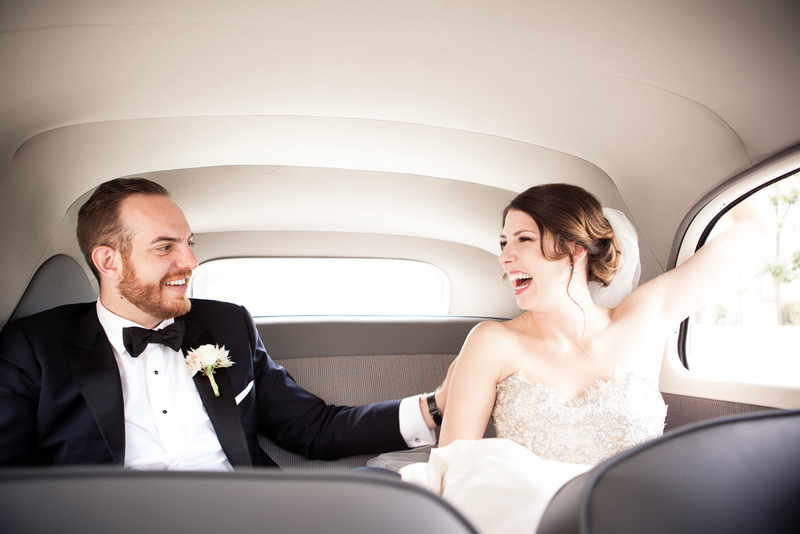 Jason and Mary left the church under tossed rose petals, with huge smiles on their faces as they led the ensemble of cars around Paris. 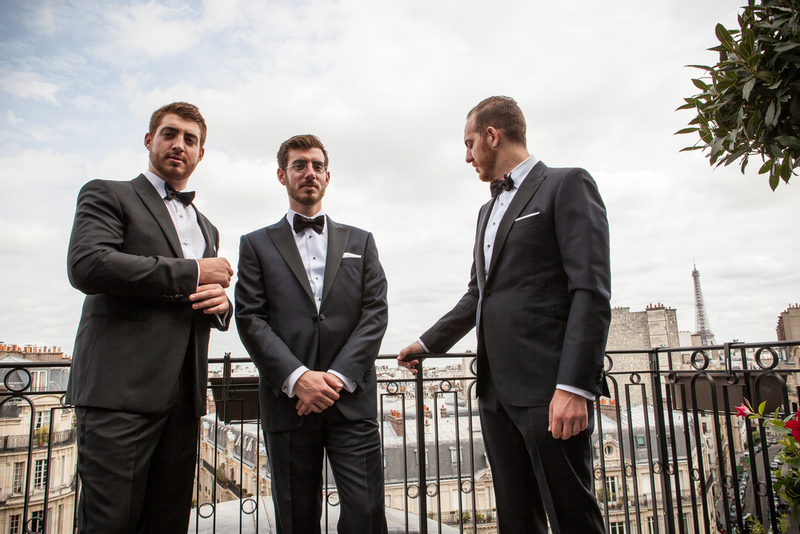 We took them to the middle of the Champ de Mars, where we had previously scouted, but finding it completely packed with an event, took them to a side entrance instead. 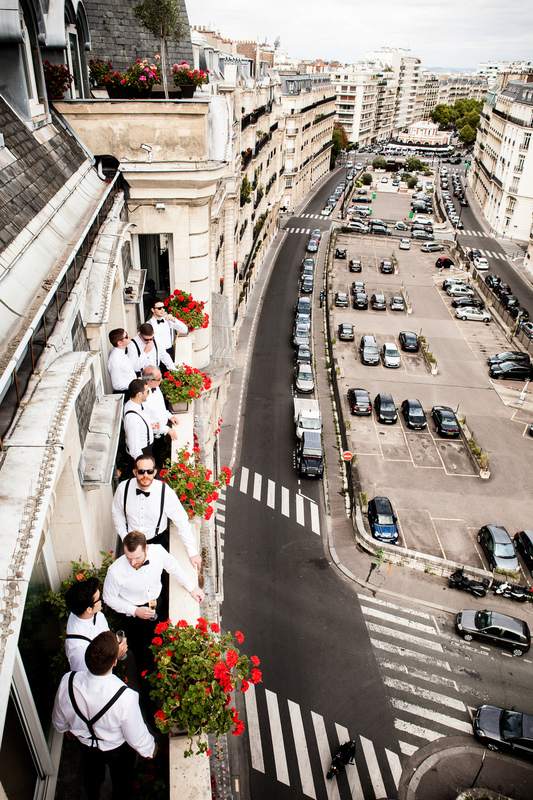 After photographs with all their loved ones, the couple went with Kevin for photos atop the Hotel Raphael while I went ahead to the reception venue, the Maison France Ameriques. I've seen quite a few reception sites in my day, and I'm not sure if ever before, my jaw literally dropped like it did this time at seeing the room(s) for the first time. 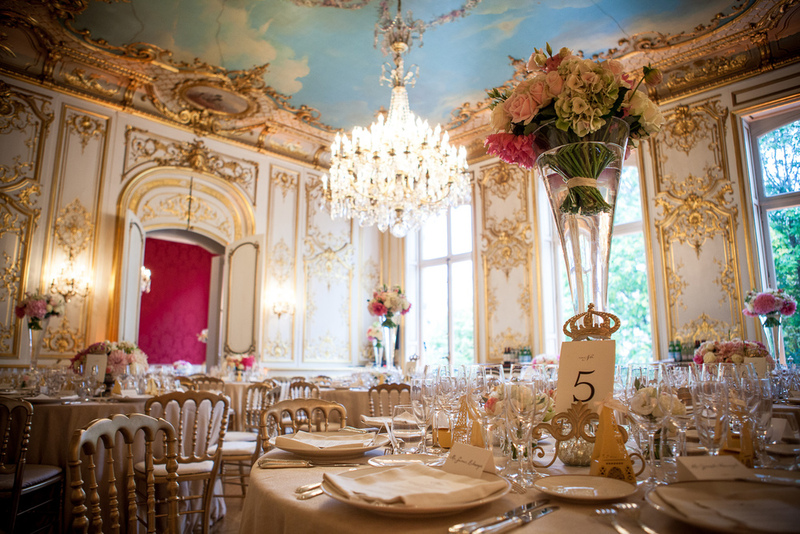 I was overwhelmed by the splendor and beauty, from the opulent frescos on the ceilings and crystal chandeliers, to the decor Nancy so effortlessly arranged. Just, wow. The images speak for themselves. 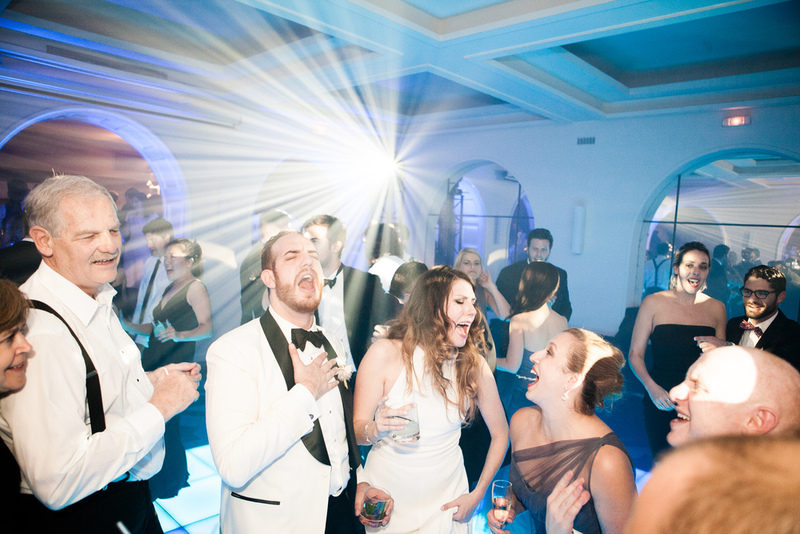 Following an outdoor cocktail hour, rousing speeches during dinner, cake-cutting and first dances in the downstairs salon, the couple headed to the basement for a dance party rivaling any Paris club I've seen. Jason's mom surprised them once again with a lit dance floor, controlled by a talented DJ who kept the party going all night. This absolutely epic event was a highlight for Kev and I, and we can't thank Jason, Mary, their parents, Nancy, and Anne enough for the honor of photographing it.